When the other guys are sleeping, Junk Grabberz is hard at work! 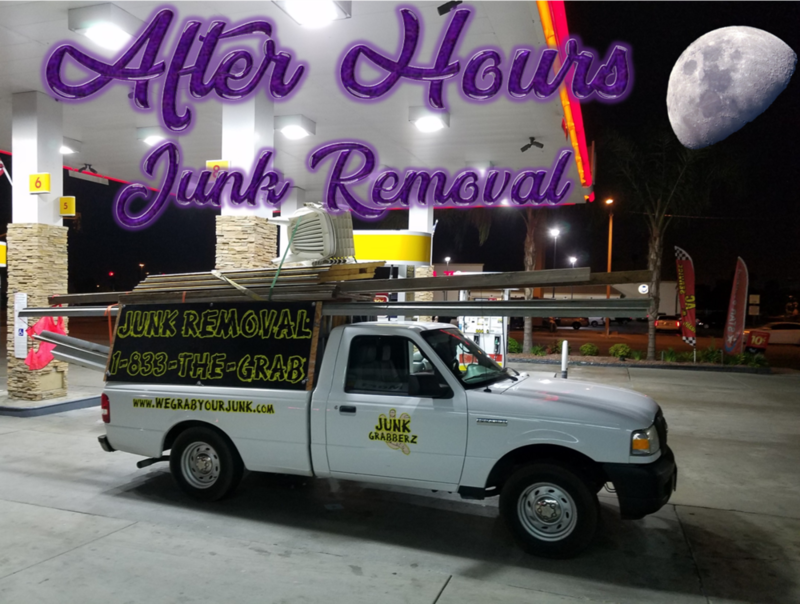 We are proud to be the only Junk Removal service that works around the clock to ensure that our customers don't have to wait for the results they need. We are open 365 days a year and ready to take your call at any hour. We chose to provide our customers with a 24/7 Customer Service line, so that they always have the option to connect with a real person who can answer any questions they have. Our service sets us apart from everyone else, and we promise to keep it that way!